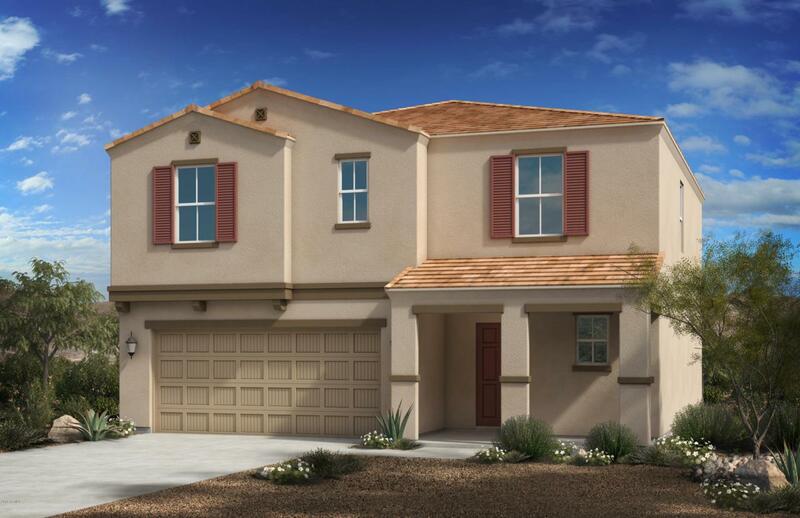 This stunning two-story home features an 8-ft. entry door and SmartKey(r) front door hardware. Moving inside, the open concept floor plan is great for entertaining and includes a spacious foyer and 9-ft. first-floor ceilings. The generous great room opens to a kitchen and dining space and offers access to a covered back patio. The kitchen includes 42-in. upper cabinets, laminate countertops, and a double-basin sink. The master suite features a walk-in closet, and the master bath boasts a dual-sink vanity and a door at the water closet. Additional features include Emser(r) tile flooring in the main living areas and Shaw(r) carpeting in the bedrooms, Sherwin-Williams(r) two tone paint, Moen(r) WaterSense(r) kitchen and bath fixtures, and Sea Gull(r) lighting. This ENERGY STAR(r) certified home.